In an era when water scarcity, water quality and delivery costs are becoming urgent problems worldwide, the flow meter is more important than ever as a water management tool. “You can’t manage what you don’t measure,” is a simple business truism, which summarizes the growing role of flow meters in many water process applications. Once thought of as a basic instrument, the latest generation of meters includes new sensing technologies with next generation transmitters offering advanced intelligence. These new generation meters have joined the Internet of things (IOT) with increasingly more flexible communication capabilities. The result is highly accurate flow data available anytime, anywhere for automated process control systems and analytics, which help water managers make better decisions and allocate resources more efficiently. Relying on supervisory control and data acquisition (SCADA), or advanced metering infrastructure (AMI) technologies, the implementation of district metering strategies helps utilities better utilize water data analytics. Water analytics typically start with flow meters which measure how much water is being produced and pumped into the system, how much water flows past certain points such as booster stations and other locations, and finally how much water ultimately reaches the customers who purchase it. For example, if a Utility pumps 1M gallons into its entire supply zone and District A and B both receive 500K gallons through their respective district meters, the Utility can then assume there are no leaks or other water losses between the main meter and the district meters. If District A receives 500K gallons, and District B receives only 400K gallons then the Utility knows that District B has a leak or some other distribution system problem to solve. 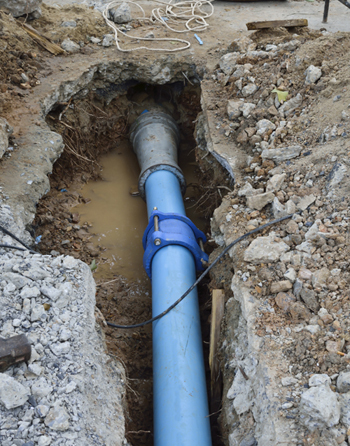 This process can continue throughout the entire distribution system to aid in finding areas that may have leaks or other major problems that, when found, can positively impact revenue. Many utilities are focused on finding and eliminating non-revenue water (NRW) for cost control and overall management efficiency. NRW is any water that is produced and lost before it reaches the customer. Again, newer technology meters are the key to monitoring the flow of water so the utility can bill customers accurately for water delivery. Let’s see what happens at two utilities that both deliver 60 MGD of water at the same cost per gallon, but use two different meter sensors with different levels of accuracy. Utility A installs a single sensor mag meter or any other type meter that is accurate to 96% and measures 57.6 MGD; the non-revenue water loss is 2.4 MGD at a cost of $3.70 per thousand gallons or $8,880 per day, for a total cost of $3,241,200 annually. Utility B installs a multi-sensor electromagnetic meter that is 99.5% accurate and measures 59.7 MGD; the non-revenue water loss is 8 times lower at 300,000 gallons per day or $1,110 per day and $405,150 per year, for a potential savings of up to $2,836,050. This is a perfect example of how the selection of an accurate water meter can help water managers count the savings when it comes to monitoring flow throughout the entire distribution system. 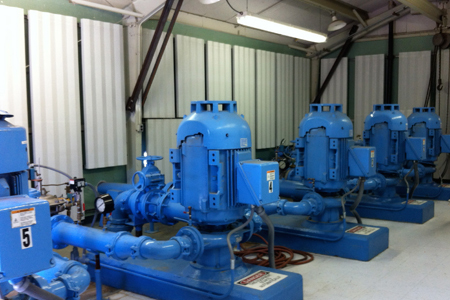 One of the biggest costs at any municipal water utility is the operation of pumps to move raw water through treatment and then to delivery. Municipalities often draw water from multiple sources, operate multiple treatment plants and service wide ranging communities that require a complex network of pumping stations. Pump demand cycles can be optimized with accurate flow measurement to reduce energy costs, which can vary during the day according to the utility’s rate structure. Knowing the precise rate of flow and totalized flows allows operators to be selective in how many pumps they run at one time and when to operate them to take advantage of the lowest utility rates. Having the flow information available when they need it gives utilities the ability to make adjustments so they can adapt to changing flow conditions. In addition, flow meters can be used to test the pumps themselves to make sure they are running efficiently by comparing the flow data to the pump’s operating specifications. If the two measurements match, then the flow rate or totalized flow is confirmed. If there is a difference, the pump might need maintenance or adjustments. The role of the flow meter is evolving from simple process control to serving water management in efficiency optimization, conservation, revenue generation and cost control. The strategic placement of flow meters provides essential data points, which allow technicians to make smart decisions with return-on-investment impact as they optimize their process, system or plant. For these reasons, the flow meter technologies that best serve as water management tools are versatile and accurate. They have the ability to handle a variety of applications under often challenging flow conditions, such as in tightly configured pump stations. When choosing a meter, be sure to consider ease of installation, maintenance and service life. Flow meters as water management tools pay for themselves quickly. They help conserve water, increase revenue and reduce costs all at the same time. The bottom line is: knowing more about what flows in and what flows out puts you in control where it counts. A seasoned veteran in the water market industry, Dan Hardin is a Regional Sales Manager at McCrometer, headquartered in Hemet, California. Contact Dan at: danielh@mccrometer.com. McCrometer's advanced flow measurement solutions solve complex challenges in Agricultural Irrigation, Municipal/Industrial Water & Wastewater, Oil & Gas, Process Control, Electric Power Generation and Institutional Facilities. The company's products and systems are found in thousands of installations worldwide. Its products and systems meet many of the world's most demanding industrial, safety and quality standards.